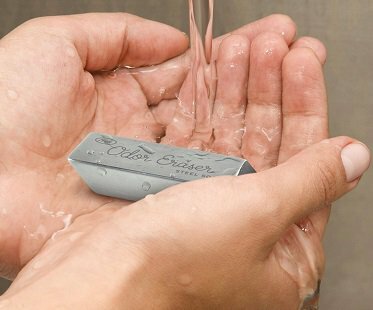 Eliminate those stinky garlic and onion smells from your hands with this steel odor eraser! It works like magic to rub out unpleasant odors that linger on your skin during food prep. Just rub your 'soap' on your hands under running water and say hello to fresh and clean skin.